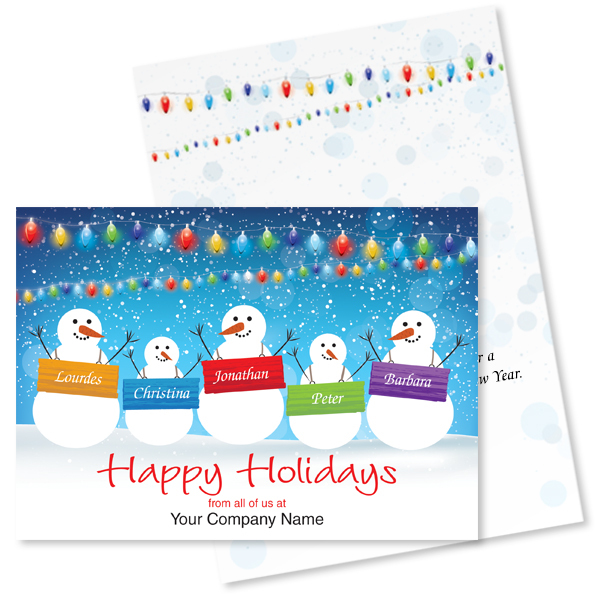 Welcome the season with creative holiday cards that feature your business as part of the design. 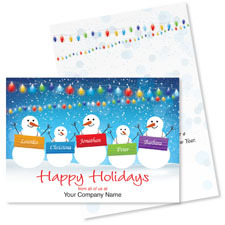 Add your company name along with employee names on the jolly snowmen for a new level of personalization! The artwork repeats in full color on the inside of the card for even more impact. This item is not available for purchase at this time.